Our managing director Patrick Geary with 35 years of knowledge and experience has worked in the repair, construction, maintenance and overhaul of mining and materials handling equipment including, conveyors, gearboxes, rotary breakers, sizers/crushers, storage bins, screens etc. 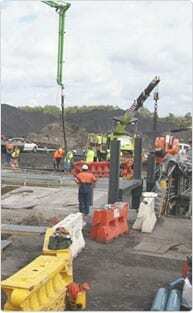 Power station construction and repairs have also featured in Pat’s working career when in 1977 he was appointed as a supervisor on the construction of Eraring Power Station in NSW. Pat has worked for several local Hunter Valley engineering companies, he was in charge of crews for both maintenance and construction projects, involved in the construction and commissioning of Rixs Creek Mine and 10 years of maintenance, repairs and fabrication at Bloomfield Collieries. Pat started his own company in 1999 Tygear Maintenance Pty Ltd and then Tygear Operations Pty Ltd.A boilermaker by trade, Pat’s work has involved regular on call breakdown services and availability, regular down day repairs and services, planned shutdown repairs and overhauls and fabrication, repairs to service these planned and unplanned repairs. Blasting and painting has also been an integral part of his services offered to the industry. All our employees bring with them vast experience in the Mine Maintenance, Fabrication, Fitting, Steel Erection, Sandblast / Painting/Water Blasting and Aluminium Fabrication areas, and with the introduction of additional personnel and equipment resources, Tygear Operations will continue the previous expansion experienced over the last decade, to become an innovative leader in industrial fabrication, sandblasting / painting, and general engineering solutions. Tygear Operations are a progressive fabrication, Maintenance Company based in the Hunter Valley with workshop and head office in Thornton NSW.